Church and State: A Bad Romance - BFL 160 - BLIND FAITH LIVE!BLIND FAITH LIVE ! Real People. Real Miracles. Let’s do this in a series of questions for Dr. Issam Nemeh. His answers will have you rethinking your Christian belief system. 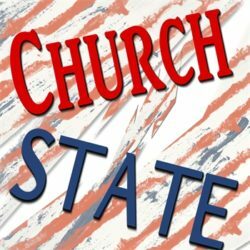 How separate do we keep church and state? Should there be laws restricting abortion? Should there be laws restricting anyone wishing to be married to anybody? Should priests ever withhold the Eucharist from public figures who favor abortion rights? Also in this podcast, Dr. Nemeh looks at a spiritually starving Church. Is the bride (the Church) ready for her groom (Christ) to return? Are any of our religious leaders quenching the thirst of true believers? For years, Wendy Searfos has been crushed by the pain of degenerative disc disease. You will be able to hear the awe in Wendy’s voice as she walked out of the healing service conducted by Dr. Issam Nemeh. Goodbye pain! The same is true for Tony Alexinas. 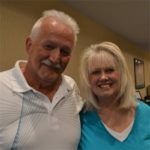 A painful shoulder disorder was gone with a three-minute prayer. This entry was posted in Dr. Issam Nemeh, Episodes, Philip Keller and tagged Back, Christianity, Jesus Christ, Shoulder, The Church by Philip Keller. Bookmark the permalink.